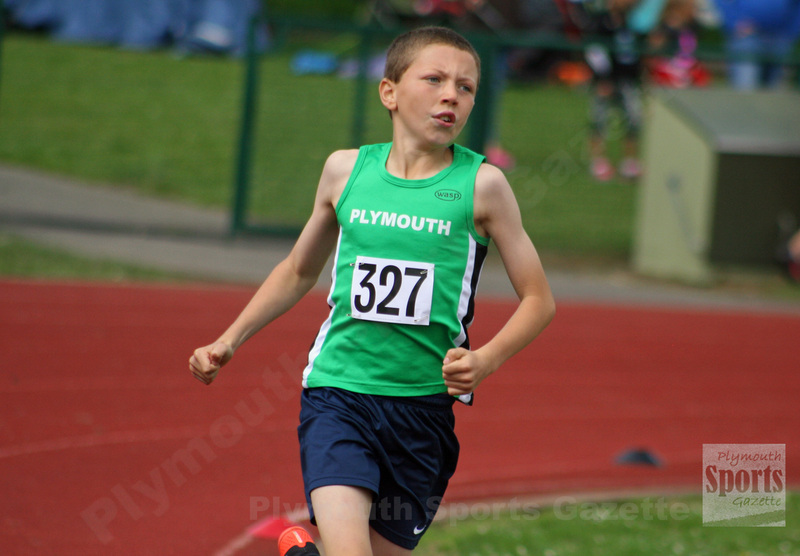 YOUNG athletes from the region enjoyed plenty of success at the Cornwall County Championships at Carn Brea. City of Plymouth’s Leo Shipley, Jed Hutchings, Harriet Beardsmore, Molly Mather, Poppy Northcott and Holly Reid, plus Tavistock’s Tayla James, Tilly McDowell, Lee Shipton and Harry Tomlin were among the athletes to win titles. Shipley triumphed in the under-17 boys’ 100 and 200m events. He won the 100m in 12.00 seconds and the 200m in a PB time of 23.8 seconds. He actually was first senior man in that event. Beardsmore also set a PB in the 200m. She clocked 27.6 seconds to take gold in the under-15 girls’ event, having finished third in the 100m. Tavistock’s Tayla James also topped the podium at 200m. She won the under-17 girls’ event in 27.8, having claimed silver in the 100m in 13.8 seconds. In the under-17 girls’ 300m, City of Plymouth’s Izzy Sheil claimed silver in 47.7. The middle distance races brought plenty of medals. Jed Hutchings took gold in the under-13 boys’ 800m in 2:24.2. 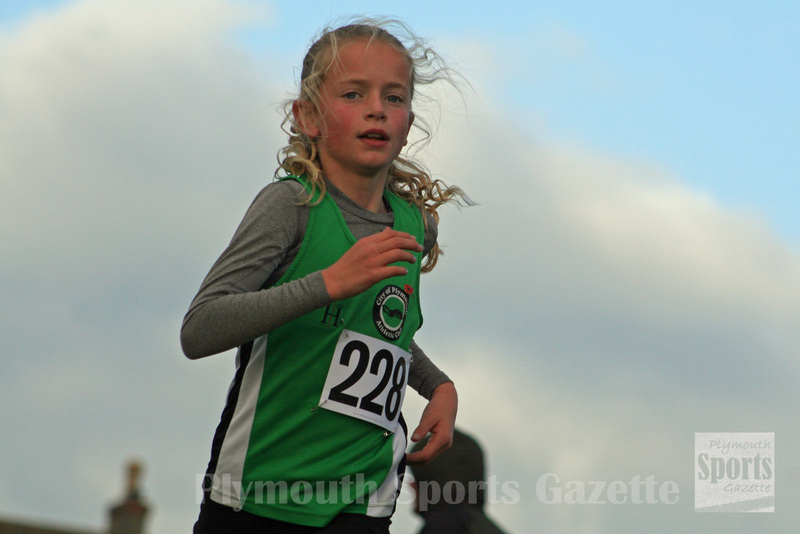 There was a silver medal for City of Plymouth’s Katie Blair in the under-11 girls’ 600m in 2:11.8, while club colleague Barnaby Hutchings took bronze in the boys’ equivalent in 2:06.0. Tavistock’s McDowell was first under-17 girl in the 1,500m steeplechase in 5:49.4. There was gold for Plymouth’s Mather in the senior/under-20 women’s 400m hurdles in 67.2 seconds. Tavistock’s Lee Shipton won the under-17 boys’ shot with a PB throw of 8.29m. Charlie Shipton was second in the under-20 hammer with 37.62m. Plymouth’s Rosie Northcott took silver in the under-13 high jump, while Tavistock’s Ella Tomlin was second in the under-20 women’s shot. Harry Tomlin impressed to win the under-15 pentathlon, with a number of performances that would have won individual medals. He ran 14.5 seconds for the 80m hurdles, jumped a PB 1.48 in the high jump, 4.81m in the long jump, threw 10.78m in the shot and ran 2:27.2 in the 800m. A round-up of the Devon County Championships will follow.